Assisted by rich industrial experience and modern technical knowledge, we are able to offer Room Partition Services. These services are widely used for their reliability, flexibility & client-centric approach. Our professionals work hard and provide all facility according to the demanded specifications from our clients. We have gained high level of client satisfaction by executing premium quality Aluminum Partition Service. Keeping in mind the latest trends of the market, our adept professionals perform these services by making use of upgraded techniques and finest quality basic materials. Our organization falls under the category of prominent enterprise engaged in providing Store Room Partition Service. Abiding by all the ethical and ethical business norms, we are immersed in offering a commendable variety of Gypsum Partition Services. In tandem with the predefined industry set principles and guidelines, these services are hugely in demand and valued in the industry. In addition to this, we have selected skillful and highly proficient employees to deliver these to preserve their supremacy. Capitalizing on the ability of our well-trained workforce, we are readily engaged in providing world-class Cabin Wall Partitioning Service. A team of well-trained staffs is offering these services as per the thorough demands of our clients. We believe in offering precise solution of client’s needs and assist them accordingly. 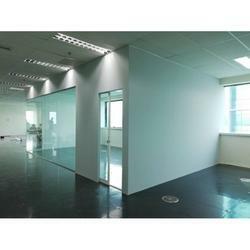 Our organization is recognized in the industry for offering the best quality Gypsum Partition Serevice. Eishtaa specializes in fixed Partition and external installations based on aluminum fabricator. With the use of our aluminum partition walls, you will divide your space or separate rooms in a stylish and modern way, thus making your work more comfortable. 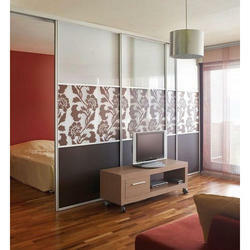 In order to retain our remarkable position in this industry, we are providing a wide array of Aluminium Partition.